Welcome to the home of our VENTUREOUT New Media programs! The New Media industry is booming these days, and this boom is not limited to AR and VR. Following is an overview of the programs we have run to support companies in the New Media space. 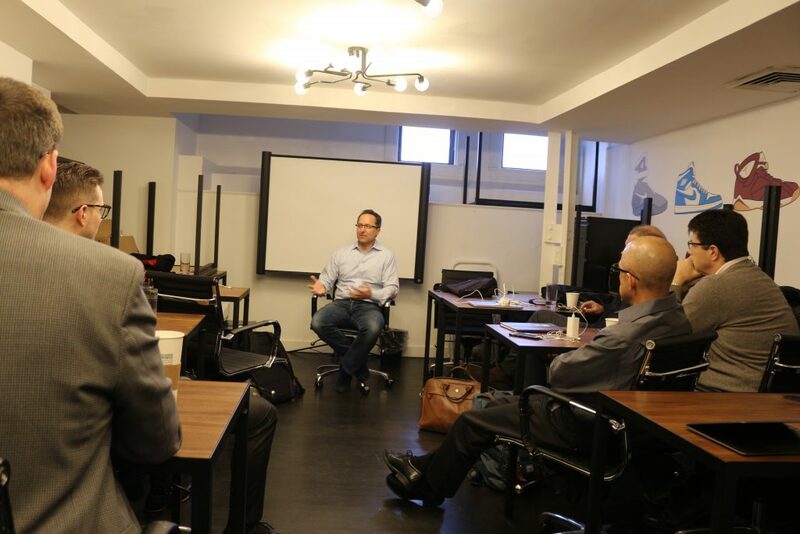 Meet 20 thought leaders, decision makers and investors in the New Media space in NYC in 3 days. Whether innovation officers at top corporates, the most active venture investors or CEOs of the most innovative startups, this program will super charge your New Media network. 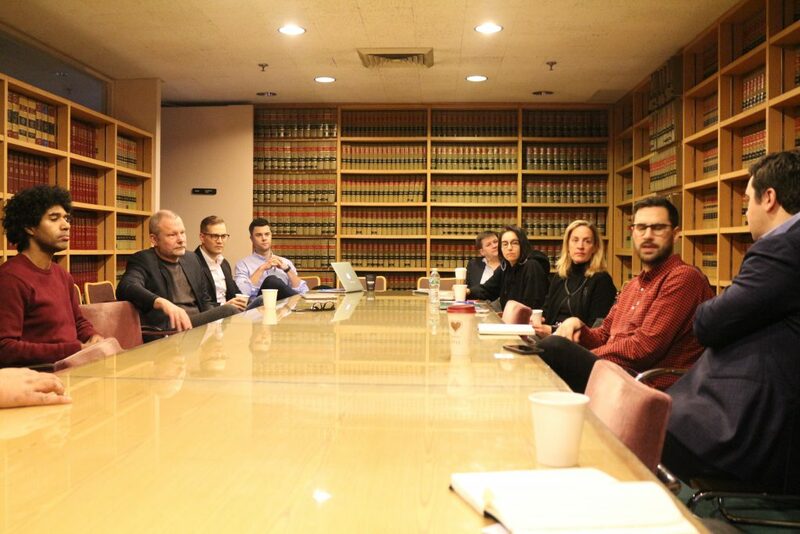 Meet over a dozen tier-1 venture capitalists and angel investors focused on the New Media space. 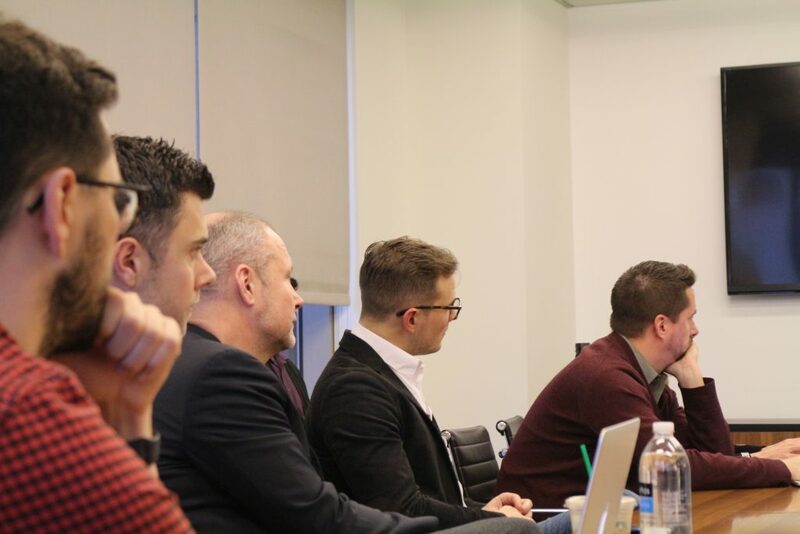 Through VC office visits, one-to-one meetings and our pitch events, you will have the opportunity to learn from and pitch some of the world's leading New Media investors. 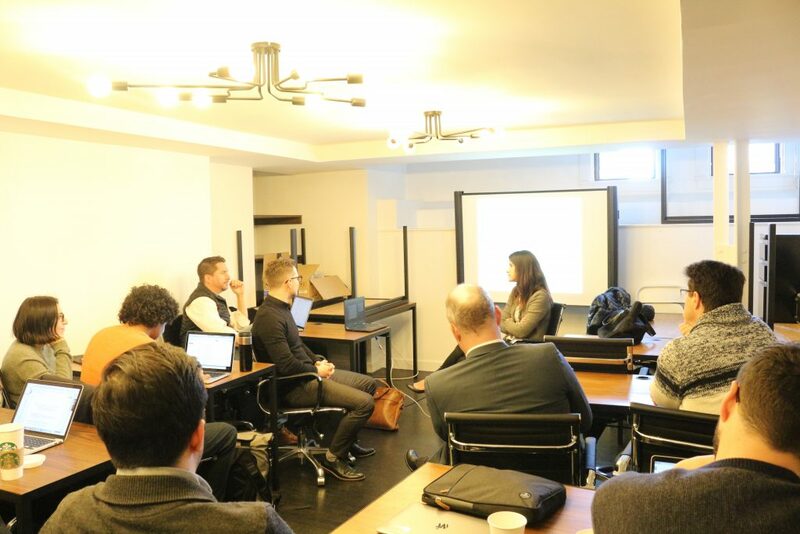 Our New Media founders listen with intent to Mary Liu from Bertelsmann Digital Media Investments (BDMI). Last talk of our first New Media program was on innovation engagement with Carat. A session on Entertainment, Media, and VR with Andrew Asnes from RoundHill Entertainment. 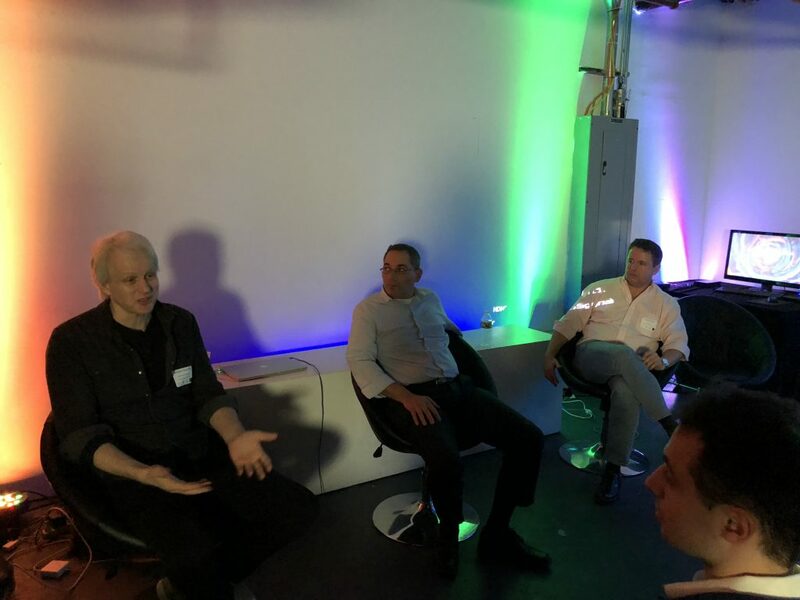 New Media Private Investor Reception hosted at Jump Into the Light and featuring an incredible expert panel: Michael Deathless from Deathless VR, Hugh Seaton from Aquinas and Lyron Bentovim from Glimpse Group. Among other investors, participants to our first New Media program got to meet with Douglas Clinton, Managing Partner at Loup Ventures. Discussion on Corporate Investments with Karena Wells, SVP Corporate Partnerships at NBC Universal. Workshop time for our New Media cohort: discussing Fundraising and Finance with Paul Bianco, Director at ffvc. Dessy Levinson from 645 Ventures, Josh Ness from Verizon Open Innovation, Matt Kittay from Empire Angels and Steven Silver from Arc Angel Fund are wowed by the pitches at our Augmented Experience pitch night! Founded in 2015, the VR/AR Association is a global member community of the best minds in virtual reality and augmented reality with Chapters in major cities across the world designed to foster research, develop standards, and promote and connect members. Jump Into The Light is America’s first Virtual Reality Cinema and Playlab. Located in trendy's Lower East Side at 180D Orchard Street (between Houston St and Stanton St). Cinema goers can view 360VR films, paint in 3 dimensions using fire, neon or bubbles, shoot zombies, and experience more games with the Oculus Rift and HTC Vive. Our guests can also be 3D scanned into the Ultimate 3D VR Selfie for sharing on social media. The Glimpse Group is a Virtual Reality and Augmented Reality company, comprised of multiple VR and AR software & services start-ups, and designed with the specific purpose of cultivating entrepreneurs in the VR/AR industry. Our unique business model simplifies challenges faced by VR/AR entrepreneurs and creates a robust ecosystem, while simultaneously providing investors an opportunity to invest directly into the emerging VR/AR industry via a diversified platform. The VentureOut New Media Programs are tremendously impactful because they are built upon the companies that drive the New Media ecosystem. Meet the investors, corporate execs, startup founders and other thought leaders that serve as mentors in our New Media programs. Amy Chen develops and leads innovation programs focusing on emerging technologies. She connects industry executives with university faculty and students to experiment, prototype and launch startups with technologies like extended reality (XR), artificial intelligence (AI), machine learning (ML), natural language processing (NLP), Internet of Things (IoT), blockchain and 5G wireless. The multi-year sponsorships and partnerships that she leads relate to tangible outcomes: technology adoption, startup formation, job creation, and hiring. At NYC Media Lab, Amy funds and supports early-stage entrepreneurs who are building scalable ventures. She manages the Combine accelerator program which has a track record of employing the lean startup methodology for finding product-market fit. As a leader and coach of high-performing teams spanning the globe, Nora knows that connecting people and fostering collaboration are what drive business results. Nora is constantly bridging the divide between cultures and ideas to develop high-impact innovations and expand into new markets. Nora is the Co-Founder and Director of Partnership at Xessentials, a business incubator devoted exclusively to fast-tracking female-founded startups. They guide founders through every stage of business acceleration, from ideas to pre-series A funding. Previously, she led the sales and business strategy projects at Dow Jones. Stuart is an SVP for Hero Digital, a customer experience company. They combine strategy, design, engineering, and analytics in our delivery of multi-channel customer experiences for brands. From the beginning of the customer’s journey to the purchase process and post-purchase support, they help the world’s best brands keep their customers engaged. Stuart began his career as an investment banker advising companies on M&A and capital raising, closing over $2B in financing for his clients. Since his investment banking days, Stuart has founded a venture-backed startup, been a strategic advisor, and sat on boards of companies in the digital media and advertising/marketing technology space. He is primarily focused on helping companies pursue massive growth in the digital age. Karena joined NBCUniversal in 2013 and is currently Senior Vice President, Corporate Partnerships & Investments in Digital Enterprises. In this role, she oversees NBCU’s relationship with digital platforms such as Google, Apple, Facebook, and Amazon, and leads the company’s efforts in emerging categories such as voice, VR, AR and connected car. Previously, Karena was the Vice President of Strategy & Operations at Viacom where she ran the Music Group’s (MTV, VH1, CMT & LOGO) digital movie business, and led the launch of the Group’s first digital studio (MTV Other) and TVE app platform (iOS, Android & Xbox). Prior to moving into an operations role, she oversaw strategic and large-scale growth initiatives as part of MTVNetworks Corporate Strategy team. Karena is a graduate of Northwestern University with a bachelor of arts in Economics and received her MBA from Harvard Business School. Andrew Asnes is an entrepreneur, advisor and production executive with broad experience in live entertainment and digital technology. His companies focus on live event production (primarily Broadway, Off-Broadway and Touring Productions), VR, AR and 360-degree video production. 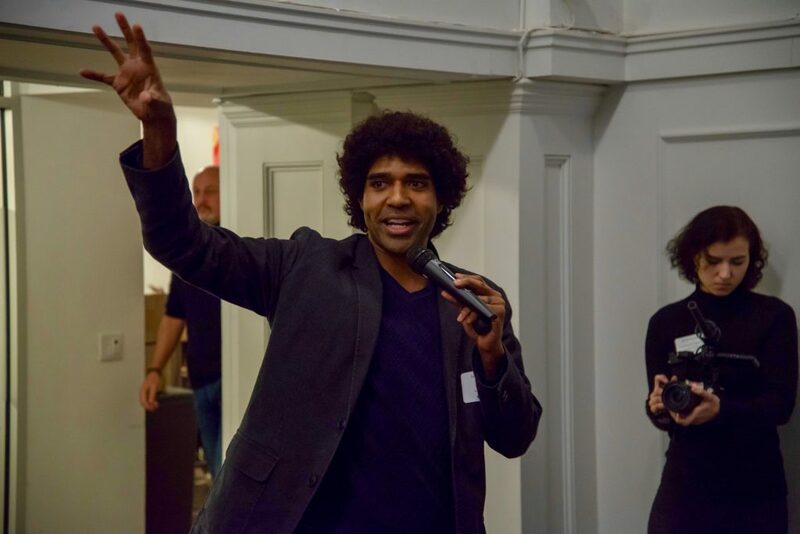 In addition, he runs the VR/AR Invest Meetup which fosters an environment for startups and investors in the VR/AR ecosystem to connect, inspire and propel innovation. Andrew graduated from Dartmouth College with a B.A. in Film Studies and received his M.B.A. in Finance, Management, and Marketing. Alexa is a strategic marketer with 5 years of experience vetting early-stage startups and managing client relations with Fortune 500 brands. She has a passion for creating connections between people and businesses and is very well-immersed in the NYC tech scene. Alexa is now a VP at Grey Group. Grey ranks among the world's top advertising and marketing organizations, serving one-fifth of the FORTUNE 500, in 96 countries. Formerly CEO of a French advertising agency for 17 years, Emmanuel has been a fine observer of the relations between media and advertisers. 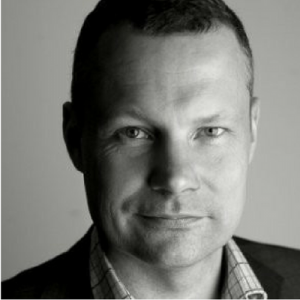 He now is the CEO of Adwanted, the first multi-channel advertising platform. Douglas is Co-founder of Loup Ventures, an early stage venture fund investing in artificial intelligence, robotics, virtual reality, and augmented reality, Doug brings his developed understanding of what successful startups look and feel like along with his vision for the future. He previously spent eight years at Piper Jaffray. Stella serves as Senior Executive at one of the largest media groups in the world and has helped win several new businesses and new global clients for MDC’s client portfolio. Stella is a subject matter expert on the role of Digital Media in Advertising, Digital Operations and the future of the Internet. She has experience working in global operations and business technology integration issues and has worked extensively with companies such as E*Trade and Fox to engage in a more data and technology-driven marketing approach. Stella is now based in NYC and as a self-identified polymath is exploring among other things the future of media through technological innovation. Lazare Consulting is a boutique strategic advisory firm dedicated to helping communication companies, technology companies and companies in other sectors define their growth strategy, transform their business, improve their performance and expand internationally. We also advise companies on M&A transactions and access to capital. In addition to Coste's extensive operational management and strategic finance experience, Coste possesses a comprehensive international expertise in markets as varied as Brazil, China, Germany, India, Japan, the UK, and the US. A life-long geekDessy is passionate about nascent technology and is eagerly waiting for the future to become more evenly distributed. She is doing her part by specializing in VR/ARmost recently leading 645 Ventures’ Series A investment in LittlStar. She spent fifteen years as a creative director, acquiring a deep understanding of the digital consumer mindset while leading marketing initiatives for Colgate PalmoliveGerberCentury 21Mall of America etc. At 645 VenturesDessy brings a rare balance of reason and creativity, enabling her to make investment decisions that are driven in equal measure by logic and vision. Matthew handles a wide array of corporate matters, including private equity and venture capital transactions, mergers and acquisitions, and corporate governance issues. In addition to his extensive experience with emerging and growth stage technology companies, he has also represented industry leaders in fields including life sciences and medical device companies, sports brands, fashion and retail companies, and chemical manufacturers and suppliers. 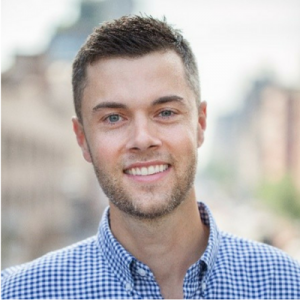 Joshua Ness is an Open Innovation Manager with Verizon in New York City. He is also co-founder at StrategyHack and co-director for the NYC chapter of Startup Grind, a global community of entrepreneurs. He teaches enterprise teams how to drive intrapreneurship and collaborate with startups to create new markets for growth. He also works to educate, inspire, and connect people as a mentor and educator on topics like networking, corporate innovation, and growth. After graduating from The Wharton School, Kristy has had a lot of experience in marketing and strategy. Her industry experience includes consumer products (CPG), healthcare, telecommunications, media, pharmaceuticals, mobile and social gaming, online publishing, and startups. Kristy also consults at Compass Pro Bono. She received her B.S. in Economics and Biological Basis of Behavior from The University of Pennsylvania and her M.B.A. from The Wharton School. Result oriented executive with strong strategy, finance, and operations background, proven track record and the ability to get things done in both private and public technology companies. Passionate leader with strong communication skills and extensive experience leading multinational organizations through Growth, Mergers & Acquisitions, Business Integration, Turnarounds and other structural changes. Creative and driven with experience executing strategic initiatives, delivering bottom-line results and transforming them into shareholder value. Ethan is a master in Quantitative Financial and Risk Analytics (QFRA). And he has experienced in venture capital, financial analysis, and non-profit project management. Also, he is an intensive researcher, a techie, and a problem solver who is deeply involved in the startup ecosystem. Additionally, he has experienced in deal sourcing and due diligence activities, market research authoring, financial modeling, valuation analysis, and business development. Michael oversees and leads the mobile strategy across Carat US and is tasked to equip the agency with the knowledge and tools to plan for the mobile world. He is also responsible in helping drive the innovation practice throughout the organization as a member of the Catalyst team - a multi-disciplined group of strategy, content, creative, and technology specialists. His experience in product development has led to innovative client solutions and new revenue streams for the agency. He is utilized as a common asset and has worked on brands such as Macy's, The Home Depot, Staples, Diageo, Perfetti Van Melle, Proctor&Gamble, Burberry, Reebok, Mondelez, General Motors, and others. Michael began his career at PHD, where his clients included many Discovery Communications networks. His work has been featured in AdWeek, eMarketer, Mobile Marketer, and a number of other ad and media trade publications. Sarah joined Carat Australia in 2011 as a strategist, working on a truly, dream client base, including Disney Theatrical (Disney, Marvel, Star Wars, Pixar), Disney Parks and Resorts, Nintendo, Adidas, and Mattel, launching movies The Avengers, Frozen and Star Wars: The Force Awakens. Sarah was identified as a 'Formidable Femme' in Campaign Asia's 20 Women to Watch 2015, after becoming the youngest member of Carat Melbourne’s agency’s senior management team, and was asked to found the Innovation Dept. in Australia where she focused on delivering technology and trends insights to our Australian agency teams and clients. Jessica Peltz is the Investment Director at kbs+ Venturesfocusing on sourcing deal flow and making investment recommendations for early stage tech startups looking to transform the media and advertising industry. She is a frequent speaker within the NYC startup communityand specializes in helping connect marketers with emerging technology. Jessica’s cutting edge collaborations were often featured in the trades such as MashableAdageMobile Marketerand Mediapost. Jessica has a BA from Indiana University’s Kelley School of Businesswith a double concentration in Marketing and International Relations. Nora graduated from Yale University with a degree in history and completed an MBA program at Harvard. She has a lot of knowledge about social media, but she has excellent skills in teaching and also has excellent writing skills. She is currently working on Corporate Investments and Partnerships at NBCUniversal Media. 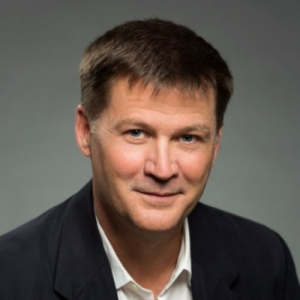 Brendan joined BDMI from Needham & Company where he was responsible for providing M&A and capital raising advisory services to early-stage technology companies, particularly in digital media and software. His previous work experience includes M&A advisory at BDO Capital Partners and social impact investing at the Overseas Private Investment Corporation. Brendan holds a bachelor’s degree in Accounting and Finance from the College of William & Mary. During the few hours a week that Brendan is not chasing new deals, he likes to kick back with his guitar or catch the latest Premier League soccer action. Experienced leader, strategist, and problem solver with over eight years of experience working in the intersection of social impact, economic development, and public private partnerships. Collaborative, results driven, and well versed in leading high performing cross functional teams. Masters degree in public policy and management from Columbia University's School of International and Public Affairs. Undergraduate degree in philosophy from Haverford College. Fluent in Spanish and Japanese. Specialties & Skills: Public policy, community and economic development, strategy, human centered design, social impact, quantitative and qualitative analysis, international development. Program design and management, program monitoring and evaluation, organizational management, client relationship management, stakeholder management, project and partnership implementation. Michelle is an Associate at Indicator Ventures, an early-stage venture fund focused on opportunities across the digital landscape. She is also the founder of Deaverage.org a platform that aims to increase access to the outdoors through sales of whimsical t-shirts that raise money for non-profits and through a blog that demystifies long-distance backpacking. Prior to working at Indicator Ventures, she worked as a Management Consultant at AT Kearney for 4 years. Michelle received her Bachelor's degree in Environmental Studies and Bachelor's in Environmental Economics & Policy from University of California, Berkeley. Teddy focuses on opportunities in consumer and software. He has helped lead Greycroft’s investments in Hubble, Candid Co, Fig, and Hollar. Prior to joining Greycroft, Teddy was a Product Manager at eBay. Teddy was responsible for the product strategy, day-to-day execution, and a/b testing for the eBay homepage across all devices. Prior to the homepage, Teddy worked on eBay’s Geographic Expansion Team, launching and growing eBay in Russia, China, Brazil, and Mexico. Teddy holds a B.A. from Wesleyan University in Political Science. He was also a 4 year starter on the Wesleyan Men’s Varsity Lacrosse Team. Teddy is a member of the Shining Hope For Communities (SHOFCO) leadership board, a non-profit organization that combats gender inequality and extreme poverty in urban slums in Kenya. Based in the New York office, Weston’s responsibilities include evaluating investment opportunities, sourcing new deals, and supporting existing portfolio companies. Prior to joining Greycroft, Weston worked as a management consultant for Deloitte Consulting’s Strategy & Operations practice, where he advised clients in media, telecom, healthcare, and financial services. In addition, he previously spent time in sales & marketing at InsightSquared, a business analytics SaaS startup. Weston attended the University of Virginia as a Jefferson Scholar. He graduated Phi Beta Kappa with a B.A. in Political & Social Thought, and wrote a thesis on startup hubs and the characteristics of entrepreneurial ecosystems that facilitate innovation. 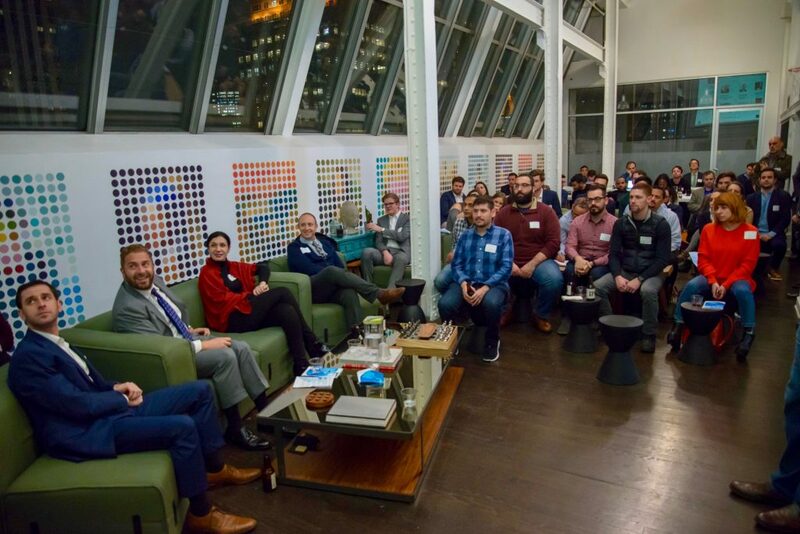 Weston remains an active supporter of the UVA startup community, leading alumni engagement efforts in New York City. Weston was also a member of the US Youth Fly Fishing Team, and remains actively involved with Project Healing Waters, a nonprofit organization dedicated to the rehabilitation of disable military veterans through fly fishing. Partner at Greycroft, an early stage venture capital fund in NYC and LA. Greycroft invests in internet and mobile startups across the digital ecosystem in both B2C and B2B. Previously spent time at Cisco and in several early stage technology investing roles. Began career in growth equity investing at Summit Partners. Andreas H. Hielscher received his Phd degree in Electrical and Computer Engineering from Rice University, Houston, Texas, in 1995. After spending 2 years as Postdoctoral Fellow at the Los Alamos National Laboratory in New Mexico, he joined the faculty at the State University of New York Downstate Medical Center in Brooklyn, New York. 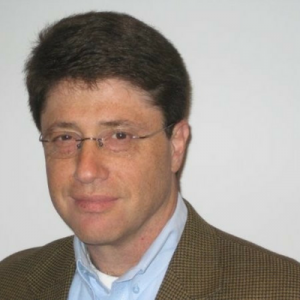 In September 2001 he moved to Columbia University in New York City, where he is now the Director of the Biophotonics and Optical Radiology Laboratory. He holds joint appointments as Associate Professor in the Departments of Biomedical Engineering and Radiology. Heather has strong expertise in content strategy and Acquisition that she developed during her time at CBS, Verizon and throughout her life. Heather is currently working cross-functionally across Verizon’s business team in product, operations NBA innovation and marketing to drive content implementation and general strategy. A lifelong learner, I'm passionate about creating systems&processes that make learning more effective, impactful and easier. I am lucky that I get to do that every day with our company, Aquinas. Working with rockstars in technology, learning science, and psychology, I have the privilege of seeing our team innovate solutions that address real needs in the corporate learning market. I believe immersive technologies like Virtual Reality and Augmented Reality will change the way we experience new ideas and revolutionize learning. At the same time, new means of connecting workers to learning make learning reinforcement a powerful tool for training and workforce development. Advances in AI mean personalization of learning is poised to take entirely new directions. John’s mission is to align the future of work with the future of education, and he was featured on Forbes to talk about how acceleration at places like Studio Project and Techstars represents a new kind of educational model. 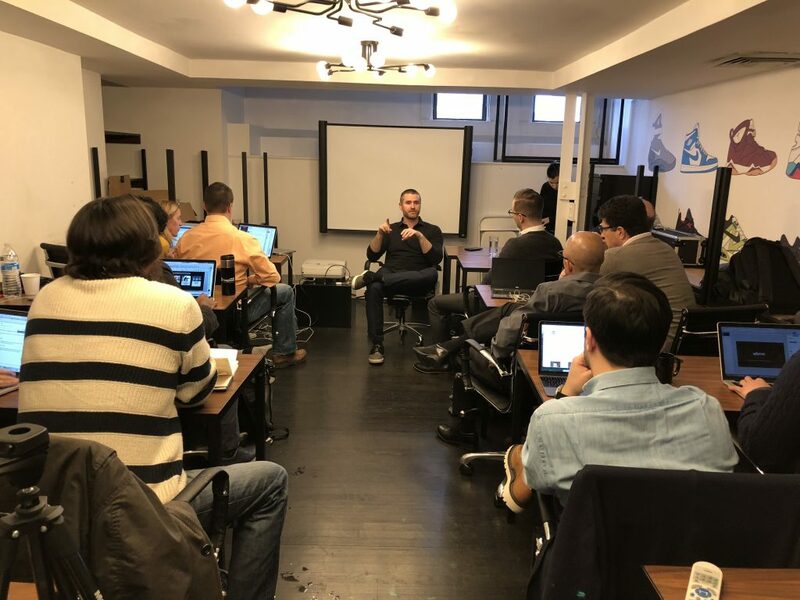 He is also a veteran of the startup community and ready to talk all things entrepreneurship: in the past, he founded a company accepted to one of the world's top accelerators, closed term sheets, helped launch and manage the Techstars NYC program. He has engineered connections resulting in LP investments for venture capital funds (including the Techstars Venture Fund, $150mm), the creation of a Techstars company, angel investment for a mentor's new venture, and sourced co-founder relationships, c-suite hires, and first hires. D.J. Smith is the Co-Founder and Chief Creative Officer at The Glimpse Group. The Glimpse Group is a holding company for a portfolio of startups focused on the virtual and augmented reality industries. At Glimpse, D.J.’s responsibilities include overseeing the production of all VR and AR content as well leading the effort to locate new subsidiary companies. In addition, D.J. is co-organizer of The New York Virtual Reality which is currently the 2nd largest VR meetup in the world with 4500 members. 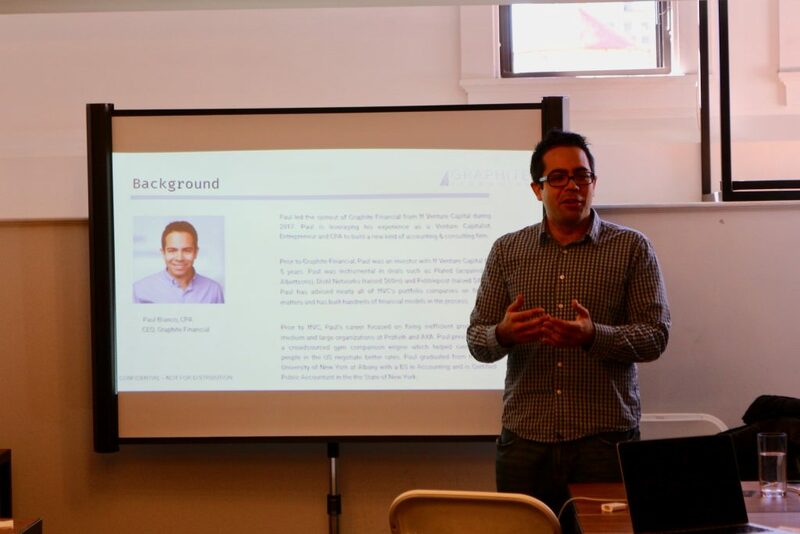 Paul founded Graphite Financial, as an internal service for (nearly 50%) of Venture Capital’s ("ffVC") portfolio of early-stage technology companies since 2008. In 2016, while continuing to serve ffVC's portfolio, Paul oversaw Graphite Financial's transition to operating as an independent company to serve the broader startup community. He is an expert in helping startups and other young ventures with strategy, financial modeling, fully outsourced or augmented bookkeeping & accounting, tax, compliance and interim CFO work. Robert joined Michael Page as their Senior Recruitment Consultant in 2017 before he was promoted to his current role as Managing Consultant of their Sales & Marketing division. In addition to working at Michael Page he is the Executive Consultant of Global Sales and Strategy at Beast Technologies. Prior to that he served as the Chief Business Development Officer of Beast Technologies, and the Client Relationships Director of Kforce. Robert is an experienced professional with 6+ years B2B and B2C sector with a heavy focus on B2B Marketing and Sales. He graduated with a Masters in International Marketing Management from MIP Politecnico di Milano Graduate School of Business. David Powell is an experienced Program Director focusing on building community and connecting people with ideas. His skill sets include strategic partnerships, content strategy, and influencer outreach. In addition, he has a unique talent for building partnerships that create the resources needed to build companies. Deep is a principal and the leader of Withum’s Technology Advisory practice based in New York City. Deep’s team of technology industry specialists provide consulting services including mergers, acquisitions, divestitures and capital raising to both venture and private equity-backed companies, ranging from SaaS, e-commerce, marketplace, ad-tech and publishing sectors. Deep is known for delivering high-value strategic advice to entrepreneurs, private equity, and venture capital firms as they seek to stay at the forefront of the rapidly changing market. He frequently presents and authors articles around technology trends, entrepreneurial strategies and the venture capital landscape. Deep also serves as a mentor and advisor to various tech organizations including 500 Startups, Y-Combinator and Techstars, and is a member of the New York Venture Capital Association, and the National Venture Capital Association. Stephen is an associate with Arc Angel Fund based out of New York City. He actively sources new deal flow to the fund and runs due diligence on the startups and companies that apply. Stephen also organizes FundingPost events nationwide. Fundingpost holds VC and Angel Investors conferences across the nation. After graduating college, Stephen was the Entrepreneur Director for the Southern California Keiretsu Forum, the nation's largest angel investment group. Stephen managed the dealflow for the group's 250 Angel investors. Stephen attended Babson College, the nation’s #1 school for entrepreneurship and graduated with a B.S. in business administration, with concentrations in entrepreneurship and marketing. Samantha G. Wolfe is an innovative strategist with a passion for Virtual and Augmented Reality. Sam works with VR and AR companies to strengthen their brand positioning and establish targeted marketing strategies to accelerate company growth. Always on top of the most innovative immersive media trends, she also partners with agencies and brands to make the never-been-done-before a reality. Sam started her career in television. Sam has managed B2C and B2B Marketing and Branding campaigns for Showtime Networks, Food Network, Cooking Channel, TV Guide, Rovi (now TiVo), and RLTV. Her team's branding and marketing efforts have been recognized with a North American Effie Award and a European Transform Award. Having worked for Media Assembly, a modern media agency that is growing very fast, for nearly five years, Melissa is now an Executive Associate and has expertise in social media. Matt Listro brings extensive experience in business development and sales. Prior to founding Harbinger, he helped build the business development and strategy team at Crowdtap, a venture-backed brand content platform that’s consistently recognized by Inc., Fortune, and others as one of the fastest growing firms in America. Matt brought on and managed partnerships with 50+ top brands including GE, J&J, P&G, Sony Pictures, and Kraft. Prior to Crowdtap, he managed business development initiatives for MAXIMUS, a publicly-traded program management and consulting firm, helping MAXIMUS expand into Europe. Matt also teaches at General Assembly. He graduated from Brown University and Columbia Business School with Dean’s Honors. Chris also works closely with Dentons' Health Care practice and Intellectual Property and Technology practice in advising the hospital and surgeon communities. This collaboration covers a broad range of health care services, including advising providers on regulatory compliance; creating accountable care organizations; and helping surgeons develop, protect, commercialize and enforce intellectual property rights. Brock joined Scout Ventures in 2017. As an Associate he focuses on early-stage investments in frontier technologies and software companies. Prior to joining Scout, he worked in PricewaterhouseCoopers' Corporate Finance division advising startups pursing growth stage investments within the consumer, fintech and digital sectors. Brock graduated from Boston College in 2015 prior to joining Lazard as an investment banking analyst where he worked on mergers and acquisitions in the consumer space. Having gained her skills by participating in many clubs and institutes, Bridget started her career in 2010 and has been around for nearly nine years. NBCUniversal Media, where she currently works, is an Internet-based leader, where she is a program specialist. In addition to social media, he has many skills and knowledge, and is currently a co-chair of STF. 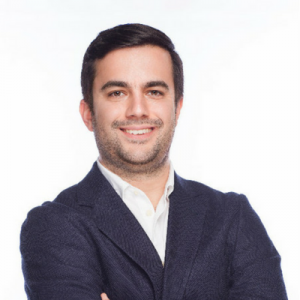 Alberto Pepe is the founder of Authorea which is the place to write scientificacademicand technical documents in collaboration. He graduated from the University of CaliforniaLos Angeles with a doctorate degree and majored in Information and Data Science." 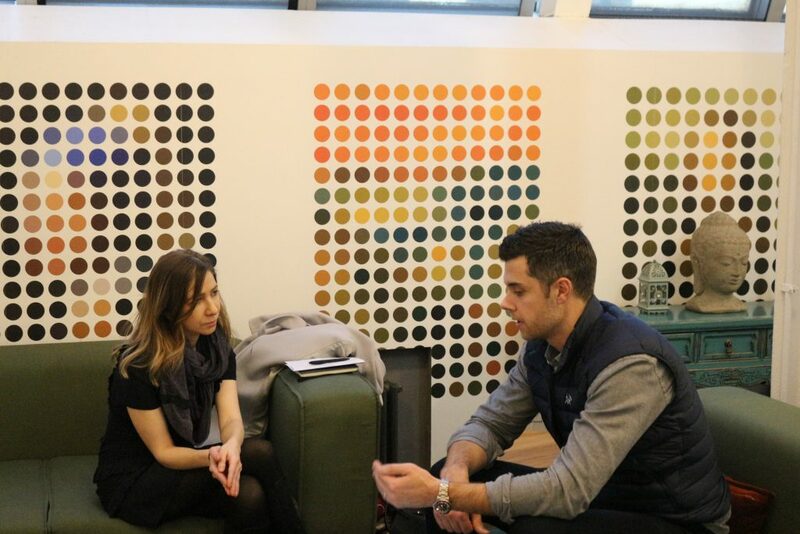 Luke is an investor and advisor for early stage ventures, PE and corporate media clients. Luke was formerly the market lead for McKinsey’s Fast Growth Tech practice serving consumer clients on a variety of growth and operational strategies. As an Engagement Manager he has experience leading digital strategy and transformation projects for consumer finance, media and telecom clients. Prior to McKinsey, Luke ran the digital media division of a Hollywood literary agency, consulting on digital video content, organization and advertising strategy for publishers and television networks in addition to representing IP for film/TV. Luke is a Feldberg Fellow of Columbia Business School and a Scholar of Merton College, Oxford. As a startup founder with multiple exits, He thinks there are a lot of things broken with the way that entrepreneurs approach sales and marketing in today’s complex market. His team’s focus in 2018 is to make sure they can help as many people as they can scale their businesses without running out of money. He has knowledge of various fields that is helpful for startups and also can provide insight into many areas such as Team Building & Strategic Planning, Corporate Innovation & Partnerships, Growth Hacking & Lead Generation, Marketing & Community Engagement, Seed & Venture Capital, Emerging Trends & Digital Technology. Sumya is recognized as an efficient business development strategist, innovator, manager and team player who drives strategic partnerships and transactions to accelerate growth. A visionary brand builder and inventive business strategist, Sumya has worked with corporations, non-profits and individuals building programs, products and partnerships that are sustainable and impactful. Through market and trend analysis, competitive dynamics, value proposition strategies, corporate storytelling and tailored launch initiatives, she leads businesses to realize goals. A focused listener, Sumya pinpoints a company’s key problems and hurdles, identifies areas of collaboration, drives innovation and unlocks shared value. She uses a unique lens to create practical, measurable solutions to incubate new ideas while building and maintaining broad based relationships with senior management, internal business units and industrial professional networks. She works to develop initiatives and programs that result in a compelling portfolio of growth opportunities. Her professional career spans the bleeding edge of the startup media & tech world from a global executive role at immersive tech startup RYOT to a development role at social impact startup Purpose and a production role at new media disruptor VICE. She is currently Founder & Principal at LAURELS, a consulting practice that works with CEOs and startups. She is an award-winning Creative Director and Executive Producer who has spoken at keynote events around the world and serves on the Advisory Council of Google News Lab's Journalism 360 Program. Strategic and Innovations leader with over 20 years experience working in digital marketing, integrated media, creative brand advertising, and emerging technology. As a Virtual & Mixed/Augmented Reality evangelist, Rori advises companies on strategy and marketing opportunities for brand and business transformation. Prior to Accenture Interactive, Rori was Global Head of Digital Strategy, EVP at Havas Media Group, where she led and managed strategic planning worldwide, with a focus on digitally integrated marketing communications and innovation. 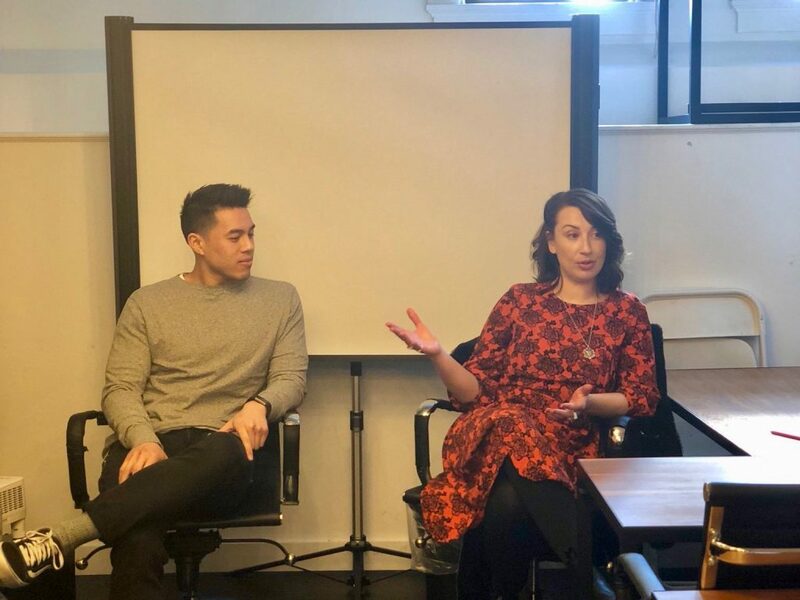 Previous, Rori was Partner, Director of Digital Strategy at Ogilvy, where she focused on developing digital marketing strategies for clients such as IBM, Kodak, Unilever, Nestle, REMY Cointreau, and Wyeth as well as others within the tech, CPG, health, retail & media industries. Rori holds an MBA from NYU Stern School of Business and a BA from the University of Pennsylvania. She is regular public speaker, contributing writer for Ad Age, Guardian, Campaign US, Media Post; a jury member for Cannes Lions, 4As Jay Chiat, Festival of Media, M&M Global, Webby’s, Kinsale Sharks and Art Directors Club. Thalia began her career with VICE 10 years ago when the founders decided to expand beyond publishing into online video and branded content, creating the youth media empire the world knows today. Her role extended across disciplines and all VICE properties—VIRTUE (the creative agency), VICE, Motherboard (tech & science), Noisey (music), thump (electronic music), Fightland (MMA), VICE on HBO, Munchies (Food) and i-D (fashion) channels, and she led the inception, development and execution of the award-winning joint venture with Intel, The Creators Project, in its first years of its life. Today, alongside The Front, she is also a sought after creative and strategic consultant for brands and other media companies. Caroline obtained her Barrister-at-Law degree from the Honorable Society of King’s Inns in Dublin, got admitted to practice at the Bar of Ireland, and is a member of AILA and the Irish American Bar Association of New York. Caroline is experienced in employment-based, family-based, and investment-based immigration. As part of our EB-5 practice, she has worked with investors in both direct investment and Regional Center petitions, and has counseled individual EB-5 investors on Source of Funds requirements. Caroline has experience with corporate clients and startups seeking E, H and L nonimmigrant visas, as well as a range of extraordinary ability individuals, including entrepreneurs and entertainers. She has broad experience working with Irish individuals on J-1 Intern and Trainee visas. VentureOut has featured some of the most innovative technology companies in New Media. Learn about all of the incredible companies that came through our New Media programs. Only In VR has reinvented the way people enjoy music, allowing users to experience live concerts in fresh, innovative ways through the power of virtual reality (VR). Inside the OVR platform, users will enjoy browsing through concerts and live performances from festivals and venues from all over North America (and we’ll be adding dozens of new videos every week as time goes on). You’ll be so close to your favorite artist, you’ll be tempted to reach out and grab them. Their immersive video and audio technology will provide a transcending, multi-sensory viewing and listening experience that will keep you coming back for more. Users will experience a variety of environments from large-scale concerts, to intimate club shows, to behind-the-scenes access. Fiskkit is a news discussion platform designed to favor facts, logic and civility. Fiskkit provides a better place for people to discuss important news topics and to find what information is good and bad in every article on the Internet. By putting public discourse into structured data they can use analytics to enable new insights and tools for readers. Fiskkit has the potential to factcheck all online news in real time, and filter trolling to make online discussion not only productive but enjoyable. Fiskkit is currently testing product-market fit with: paid account for organizations (non-profit, political, brands) to crowdsource content and fundraising, an education app for students to practice critical thinking which can quantify/measure improvement, and an integrated comments system for publishers (Troll Filter included). Texel makes it possible for you to offer your viewers virtual seats for live events. They will experience events as never before – as if they were physically at the venue, in the arena or at the pool, significantly increasing their engagement and your revenue. Texel scales the venue experience by enabling virtual presence in 8K resolution with over 80% bandwidth reduction. Texel streamlines the entire VR experience and empowers you with very short time to market. Texel’s customer base includes already leading content platforms, telcos, and OEMs. Worm is an interactive video sports app working with the worlds biggest athletes, events and brands to give fans an adrenaline filled platform to satisfy the constant yearning for high quality social content. Their goal is to create a platform where brands, events and athletes can showcase the best moments in sports through replays, behind the scenes videos and original content. With patented 'Touch to Slow' and 'Drag to Slow' technology they allow users the opportunity to engage with video like never before and this has been at the core of their philosophy to "slow it down and see it differently." Poltio is a social polling platform, using which you can create and share questions on any format with the Poltio society or answer questions shared by other people. With the Poltio question engine you can create polls, tests and quizzes in any format in a fast and fun way and in addition to sharing on Poltio, can also share through your Facebook and Twitter accounts with your friends or embed on any 3rd party platform. ReelWurld is a social-filmmaking web platform. They make movies with the world by crowdsourcing and gamifying the filmmaking process. Via their proprietary Story Module system, users add their own original scenes to a given movie or TV show by recording themselves and friends on their phone to share with the world. This process expands the narrative of a given movie or TV franchise in a way that is controllable by stakeholders, while giving creative license to fans to play in their favorite story worlds. ReelWurld is building a social network for fictional characters where fans join scenes or create new ones. Their moonshot is to be the next-generation Marvel. Clicktivated is an IP-protected interactive video platform that enables viewers the ability to interact with individual products/items in a video format. Their clean UX creates new monetization opportunities for marketers and a first of its kind set of data points for content distributors to better understand their audience. See it. Click it. Get it. It's that simple. Clicktivated works with brands and agencies of all sizes to help create sales opportunities and a more effective way to engage their consumers. Viewst eliminates three core challenges plaguing mobile ads: low engagement rates, metrics fraud, and low viewability. The Viewst button overlay provides a gamified and respectful way for consumers to play with and control ads, rather than be interrupted by them. Their user-friendly, efficient ad creation and campaign management platform enables media teams to generate beautiful floating ads rapidly and without creative support using simple drag and drop. Viewst’s floating ads are always visible and can be swiped around the screen by users, driving curiosity that inspires up to 10X engagement. These non-standard units work with programmatic platforms as well as directly with Viewst’s invite-only, premium publisher network for launching, management and analysis. Mish Guru is a full-service storytelling suite for Snapchat and Instagram Stories that scales a brand’s content team, quickly. Over one billion Stories are created on Snapchat and Instagram every single day. Mish Guru has been helping brands like Coca-Cola, McDonald’s, and Spotify for the past four years tap into real Stories, on the channels where their audience are paying attention. LookStyler is a global marketplace that connects over 1000 professional fashion, hair and make-up stylists in 70 biggest shopping cities, in order to provide targeted styling and shopping help for international shoppers. The platform is a new solution for luxury fashion tourism. Where’s the robot from TV and Movies that we were promised? The team at Brave New World is developing a new robotics platform for the home consumer market that intends to fix that. Their goal is to take interaction between humans and robots to the next level. This platform combines a physical robot with mixed reality for an entirely new experience. The 12-inch robot can be re-programmed and fits a variety of removable shells – enabling developers to create a myriad of products on one platform. The robot will have computer vision and machine learning capabilities that allow it to see you, hear you, and speak back to you. Newstag is an award-winning and innovative model for news. Their mission is to reinvent the media eco-system. The brands they work with help us to pay for the journalism and the value created is shared by all Newstag users: People, Brands, News providers, Causes & research. This makes the service free for the people, which is something we believe is democratically important. The Regeneration Magazine highlights creatives, thinkers, artists, and entrepreneurs who are making waves in the environmental movement and changing the conversation about climate change. The publication offers something that traditional media outlets do not when it comes to covering the climate crisis: hope. The magazine, available in digital or print, showcases the good news when it comes to climate change, namely the work of real people doing real work right now to solve the climate crisis. The publication fills a dearth of inspiring and informative content on climate change. While politicians, interest groups, corporations, and entire countries clash and drag their feet on climate change mitigation, lesser-known individuals are on the ground right now finding and working towards solutions. Their stories provide context, humanity, and tangibility to climate change, a problem that for many feels foreign, confusing, and not of their concern. Exclusive profiles and interviews of leaders and entrepreneurs incorporating ecology into their projects and businesses serve as The Regeneration’s literary backbone. Kulfy App is your library for short-form entertainment (Videos, GIFs & Images). Kulfy is the simplest way to search your favorite content. And easily share with your Family & Friends via chat or any Social Network. We’re a creative and passionate group of individuals obsessed with short-media. We are continuing to build what we believe is the future of communication and entertainment. We have big goals and are looking for talented & like-minded people to join us! Voxion offers everything from an easy to use platform for creating branded voice apps to full service application development. Seamlessly create, publish, and manage apps for Amazon Alexa and Google Home all in one place, without writing a single line of code. Seven Seas Music, Inc. is a streaming and licensing platform supporting creative professionals seeking quality international music for their media projects. The website provides custom search tools and other unique features that make discovery and licensing of distant talent fast, easy and streamlined. Monies we collect from licenses go back to the artists in their respective countries. We are thrilled to be able to empower both sides - producers and artists - deliver memorable audio-visual experiences to audiences. Sourcecall’s custom video calling solution and payment processing allows users to book video talks with celebrities for a fee, which is also donated to a charity. They provide custom video calling solution and payment processing which allows users to earn money in exchange for their services.